By cupcakeSerenity on February 20th, 2012 . Filed under: Bakeries, Blogs, Cupcake Ideas, Decorating, Photos . It’s easy to forget, here in the northern U.S., in the doldrums of almost-March, that there is green grass in other parts of the world. 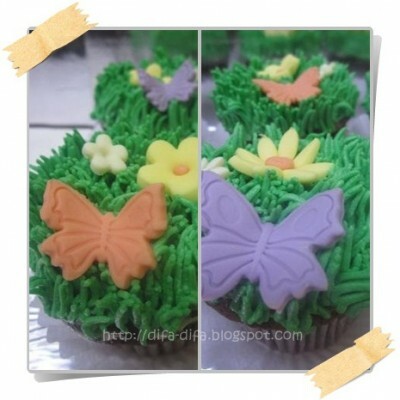 Here is some evidence for you–some yummy flowers and butterflies from dapur Difa. Let’s think spring! Visit dapur Difa for more great cupcake decorating ideas, photos, and even cupcake bouquets!